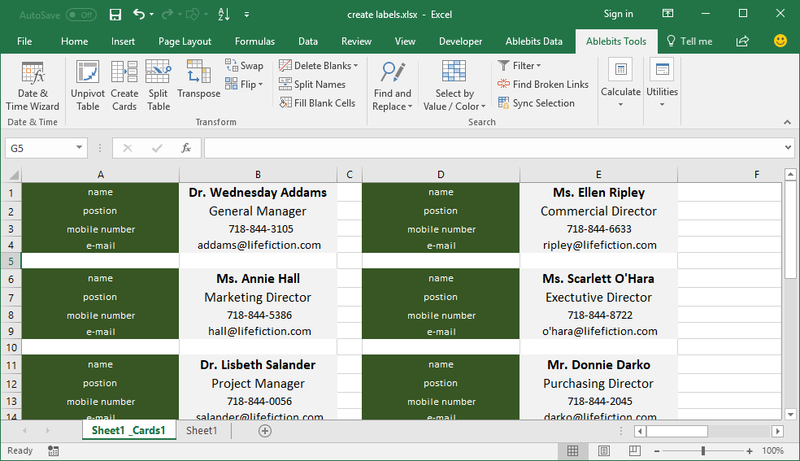 Use Create Cards for Excel to quickly make address or mailing labels, price tags and other kinds of cards from your worksheet data. Based on the settings you select, the layout of your dataset will be adjusted for further printing or reviewing. 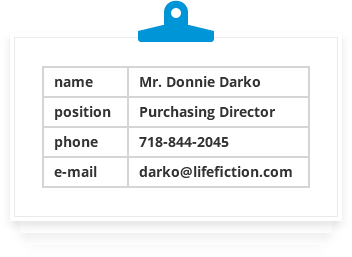 Get address and mailing labels for printing The tool will create a copy of your table with a transformed layout, so you can easily print your data. Choose to place the labels in two or more columns Enter the number of columns you want to see on the resulting worksheet. Separate the cards by a blank row or column Add an empty row and column between the labels for visualization and printing purposes. Keep the formatting of your original data You can choose to copy the labels together with the headers and to preserve the format of your original table. What is Create Cards and what do I need it for? 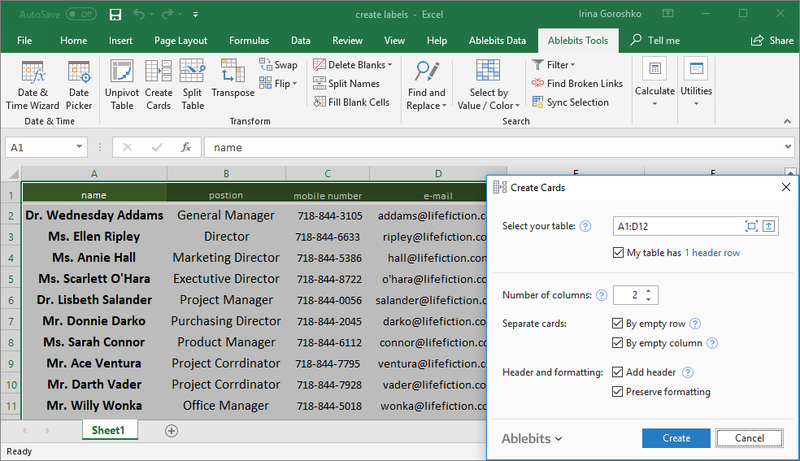 Create Cards for Excel add-in will instantly make address or mailing cards and price tags depending on the settings you select. You can use it to change the layout of your table to make it suitable for printing. How to create labels in Excel? Open your sheet and run the Create Cards tool. Enter the number of columns you want to see on the resulting worksheet. If needed, add an empty row and column between the cards and, optionally, tick off "Add header" and "Preserve Formatting". Click Create button and find the labels on a new sheet. How can I separate the labels? You can separate the cards by empty row, empty column, or both. Can I get my labels in three or more columns? Yes, you will have opportunity to enter the needed number of columns for your result worksheet with the data labels.